Kurt Harper was born in Wichita, Kansas in 1954. He attended the University of Kansas, receiving a bachelor’s degree in Russian Language and Literature and an associate degree in Slavic and Soviet Area Studies in December, 1975. During his studies, he participated in a 6-week language institute in what was then Leningrad during the summer of 1974. Upon graduation, he was admitted into Phi Beta Kappa. Kurt went on to obtain a law degree, also from the University of Kansas, in 1979. Kurt is married to Kelly Harper, also a native of Wichita, and they have 2 adult children. Both Kurt and Kelly are natives of Wichita, Kansas. Kelly is fluent in French, and they love domestic and international travel, having just completed two trips to Russia—one for the Russia-US Intercountry Committee, the other to attend World Cup games. Kurt has practiced law in Wichita, Kansas, from 1979 to the present, where his practice focuses principally on commercial litigation. He has been a member of the Rotary Club of Wichita since November, 1995. He has served the club as Vice President in 2006-07, and as President in 2008-09. Kurt also has served Rotary as the District 5690 representative to the Russia-US Intercountry Committee and as the President of the U.S. section for the 2017-18 year. He and his wife, Kelly, had the opportunity to attend a Rotary Peace Conference in St. Petersburg in 1997; and Kurt served as the leader for his district’s 2012 GSE exchange with Russia. 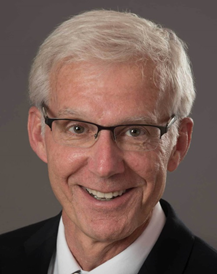 In addition to his Rotary service, he has been active in a number of other civic organizations, including serving on the Board of Directors for the Wichita Symphony Society since 1987; Episcopal Social Services; the vestry of St. James Episcopal Church. Kelly has recently retired from the United Way of the Plains, where she served as the director of Major Gifts and Planned Giving.